4 God saw that the light was good, and He separated the light from the darkness. 5 God called the light "day," and the darkness he called "night." And there was evening, and there was morning—the first day. 22 Because of the LORD's great love we are not consumed, for his compassions never fail. 23 They are new every morning; great is your faithfulness. 24 I say to myself, "The LORD is my portion; therefore I will wait for him." 1 My heart is steadfast, O God; I will sing and make music with all my soul. 2 Awake, harp and lyre! I will awaken the dawn. 3 I will praise you, O LORD, among the nations; I will sing of you among the peoples. This is the day the Lord has made: I will rejoice and be glad in it. Heather Hart is first and foremost a servant of Christ who is happily married to the man of her dreams – but she’s also the mother of four, an internationally best-selling and award-winning author, director of FindYourTrueBeauty.com, and founder of CandidlyChristian.com. Heather enjoys working from home where she spends her days studying God’s Word, typing on her computer, and encouraging those around her. When she’s not writing or absorbed in her four children, she can usually be found with her nose in a book. 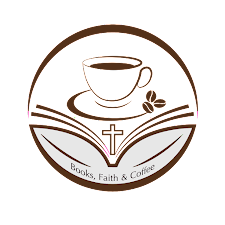 Do you know a teen that would enjoy getting free devotions each day in her e-mail? Do you have a teen daughter or work with teenage girls at your church? Check out these devotions. 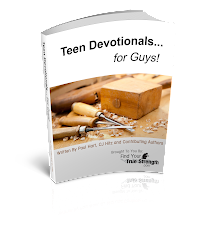 Get free teen devotions for guys by clicking the image above.